Romania’s entry on the side of the Entente in the First World War provoked a real nervous crisis to Emperor Wilhelm of Germany, firmly convincing him that he had lost the war. The mood of the Kaiser would change radically in just 10 days after the defeat suffered by Romania during the Battle of Tutrakan at the hands of the Central Powers. On the afternoon of September 6, 1916, at 16.30, the officer corps of the Romanian garrison in Turtrakan decided to surrender the town. Colonel Nicolae Mărășescu, the only high-ranking Romanian officer in the area, sends a note in German to General General Kiselov: “I surrender all the officers, soldiers and ammunition without condition”. The proposal was accepted an hour later. The Central Powers sighed in relief after the Tutrakan victory. In the case of German leaders, the news that Tutrakan was conquered produced unusual enthusiasm among the typically reserved temperaments. Kaiser Wilhelm, who at the entrance of Romania in the war “lost his temper” and “declared the war categorically lost”, recovered from his initial depression, celebrating the victory with a champagne party given in the honour of the Bulgarian representative. “Long live the field marshal [Mackensen]!” exclaimed General Seekt, a former Chief of Staff of his, then head of the Austro-Hungarian Seventh Army in Galicia. The Bulgarian soldiers were “overwhelmed with joy”; this “victory of Cannae” increased the confidence in their own forces and the devotion to the cause of the war. General Toshev disdainfully told to the Bulgarian press that “if women fought at Tutrakan and they would still have lasted for 5 days”. There was a celebratory atmosphere on the streets of Sofia, while the Romanian prisoners were brought before the crowd. Prime Minister Radoslavov was planning to scoff at the Romanian diplomats before their departure, by having the captured officers march in front of the Romanian embassy, ​​but gave up on the idea when the Austrian ambassador raised his objections. 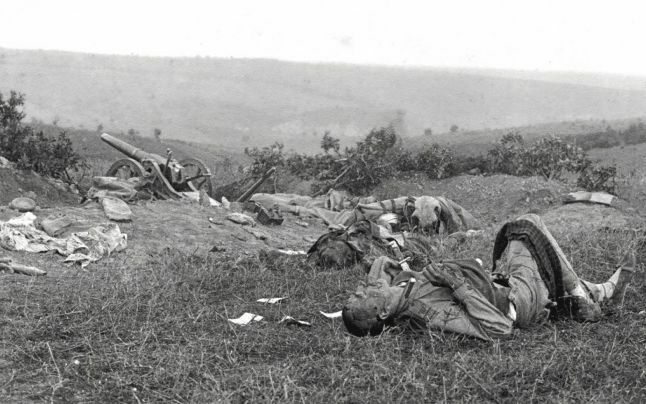 The attack of the German-Bulgarian troops in southern Romania and their advance in southern Dobruja overturned the plans of the Romanian army. Some of the troops that entered Transylvania were withdrawn and sent on the Danube front. During this time, many powerful German and Austro-Hungarian divisions arrived in Transylvania. Based on the experience of the Battle of Tutrakan, the military leaders and politicians of the Central Powers concluded that the state of the Romanian army “was very poor” and its leadership “very insecure”. Moreover, Mackensen considered that he could do much more with the forces that were at his disposal, even if they were numerically inferior. The news of the fall of Tutrakan came as a shock for the Romanian public opinion, who until then cheered on the army in its advance in Transylvania. Everyone in Bucharest was now worried about the possibility that Bulgarian troops would cross the Danube. 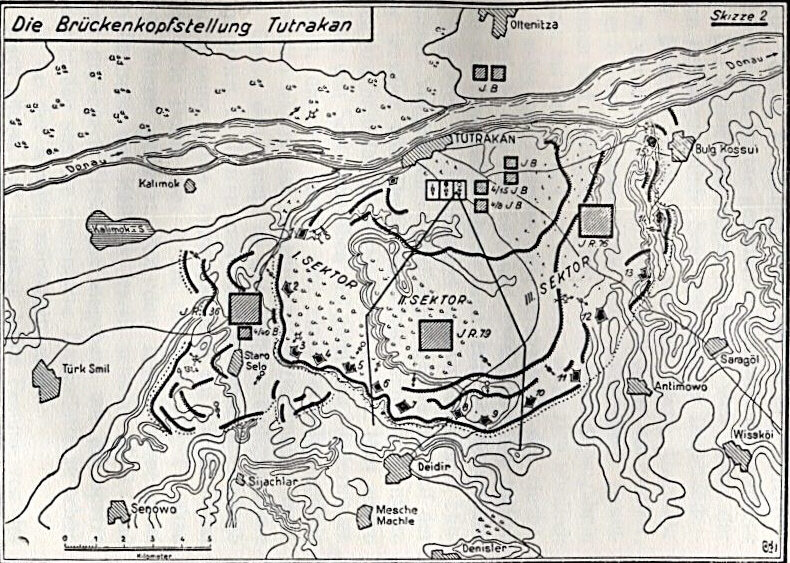 Even if the defeat at Tutrakan was painful in tactical terms, it was of no particular strategic importance. However, the impact on public opinion was very high. The morale of the population and the army diminished so drastically that a major crisis occurred at the level of the army’s superior headquarters, with more tragic consequences than the defeat itself. Some testimonies are eloquent. For the Romanian historian Constantin Kiriţescu, Tutrakan “made us [the Romanians] the mockery of our enemies and compromised us in front of our friends […] and was not only a slap on our cheeks and made our hearts bleed, but it has profoundly influenced the further development of the war. It is the root cause of the misfortunes and disasters that followed”. The unsurpassed Romanian memorialist Constantin Argetoianu appreciated that “Tutrakan marks an important date in the political situation of our country. With the fall of Tutrakan, the scales also fell from the eyes of most, it crushed the entire political scaffolding raised by King Carol I, in his long reign, of the Romanian state”. At the proposal of Prime Minister Ion I.C. Brătianu, King Ferdinand convened in Periş on September 15 a war council attended by the commanders of the army and General Dumitru Iliescu, head of the General Headquarters. With the exception of General Prezan who pronounced himself for the continuation of the offensive in Transylvania, the majority decided to stop offensive actions in the north and to organize a major action south of the Danube to defeat the Bulgarian-German troops in Dobruja, a mission entrusted to General Averescu, who replaced General Aslan at the command of the Third Army. This manoeuvre, claimed Averescu, would bring a victory that would restore the morale of the army and would reassure those in Bucharest. This decision would prove disastrous for Romania.